A 55-year-old California woman has filed a personal injury lawsuit against the makers of denture adhesive creams, alleging that her use of certain products led to health ailments. 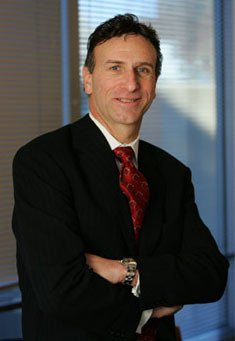 Philadelphia attorney Lee Balefsky, of the law firm of Kline & Specter, filed the civil complaint May 24 in the Philadelphia Court of Common Pleas on behalf of Dianah R. Skinner. Named as defendants in the complaint are Smithkline Beecham Corp., Glaxosmithkline Consumer Healthcare LLC, Glaxosmithkline Consumer Healthcare LP, Block Drug Company Inc., The Proctor and Gamble Distributing LLC, and The Proctor and Gamble Manufacturing Co. In her suit, which was filed as a short form complaint since it awaits grouping in the mass tort conference, Skinner states she used SuperPoligrip for about a year, from 2001 to 2002. However, she states she used a similar product, Fixodent, from about the mid 1980s until 2001, and then resumed using it in 2002 through to present day. Skinner alleges she has suffered from zinc toxicity and extensive nerve damage, which has resulted in tingling, numbness, pain and weakness in her legs and hands, a loss of balance and difficulty walking. The lawsuit accuses the defendants of negligence, strict liability-design defect, strict liability-failure to warn, breach of implied warranties, violation of Pennsylvania’s Consumer Protection Act, common law fraud, gross negligence and malice, and loss of consortium. The latter relates to Skinner’s husband, William V. Skinner, Jr. The complaint states that the plaintiff is praying for relief as set forth in the master long form complaint filed in the Denture Adhesive Cream Mass Tort Program in Philadelphia Common Pleas Court. The plaintiff has demanded a jury trial. The case awaits mass tort listing. The case number is 110502695.